AKAI MPX-8 is a compact, portable sampler that allows you to load and play samples direct from any standard SD or SDHC card. MPX8 is equipped with 8 velocity and pressure-sensitive MPC-style pads which can be used for playback and manipulation of samples and effects. MPX8 comes packed with a sample-editor for PC and Mac which, thanks to an intuitive drag-and-drop style interface makes it easy to add, edit and assign samples. The unit is fitted with both standard MIDI and USB MIDI connections allowing for connection to other hardware and also for mapping to popular DJ and production software. 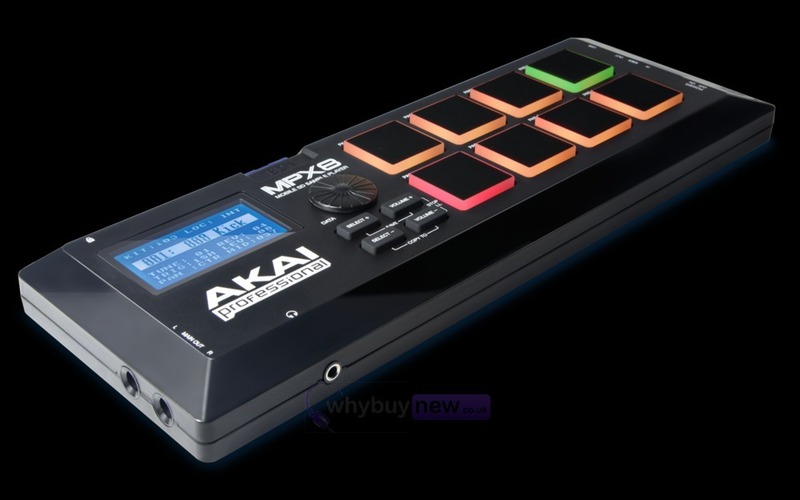 Akai MPX8 is perfect for DJ's, music producers or anyone who wants to add samples to their live or recorded music. 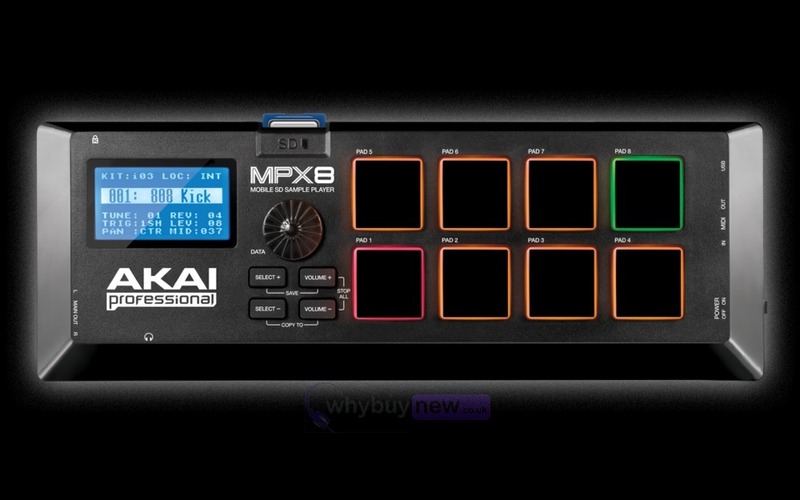 Buy AKAI MPX8 at the lowest UK price from whybuynew.co.uk the UK and Europes largest B-stock DJ equipment dealer. 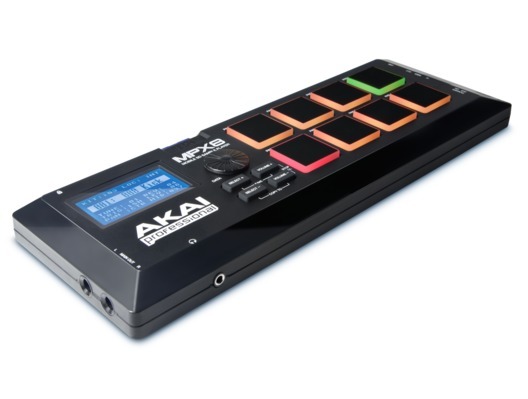 Here we have the Akai MPX8 SD Sample Pad Controller in B-Stock. The B-Stock versions would have been on display at a training evening or trade exhibition only and will come boxed 'as new' with all accessories and a 1-year warranty. Other Features: Reverb and sample tune and 3 different trigger types. Dimensions (W x D x H): 11.6" x 4" x 1.3"